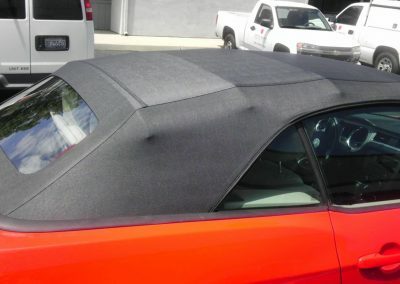 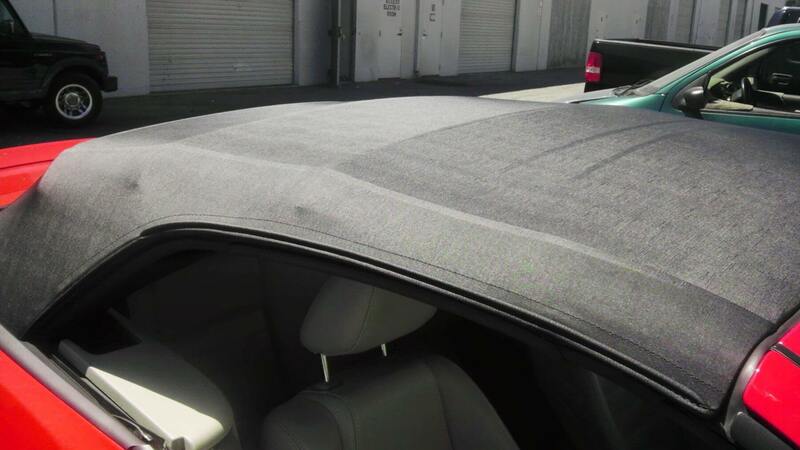 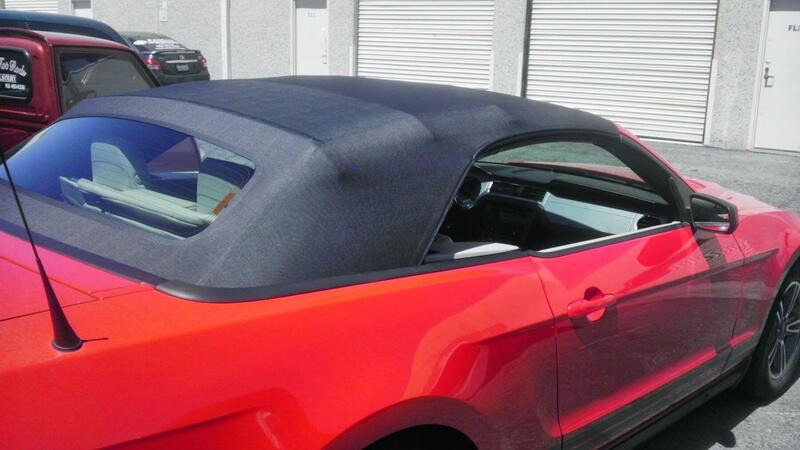 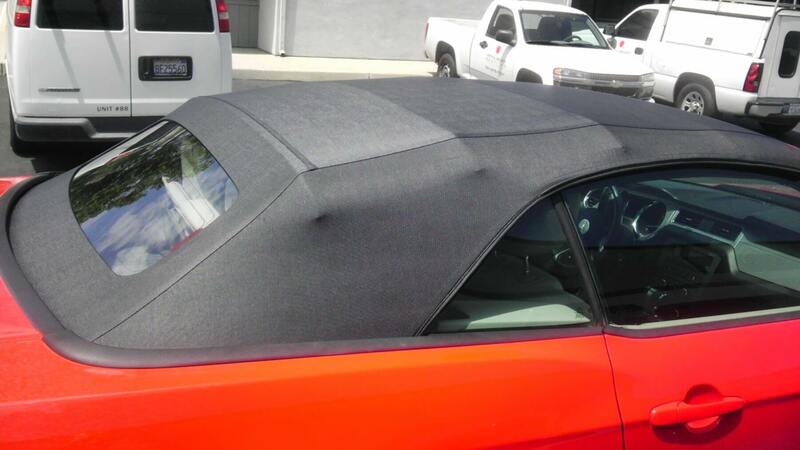 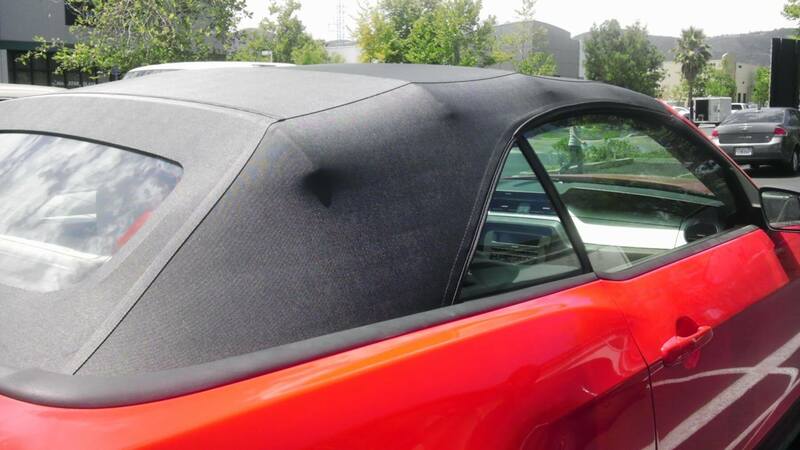 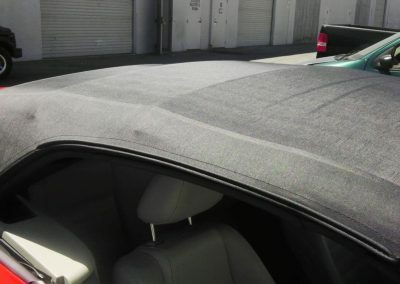 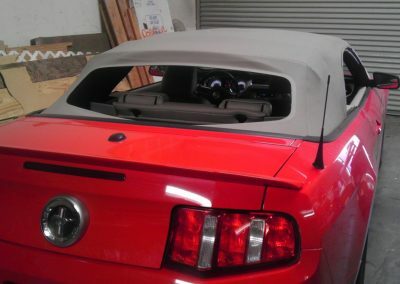 The owner of this vehicle initially decided to go with an aftermarket top, but then changed his mind after the installation was completed and wanted a factory top. 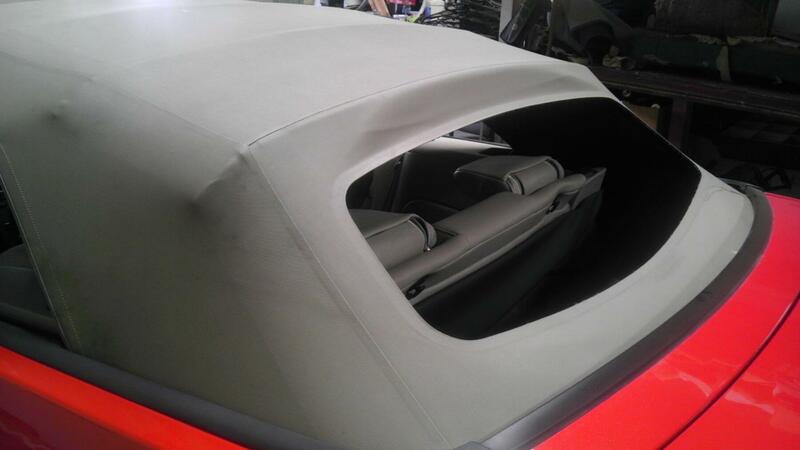 He was very particular and noticed small differences between the factory and aftermarket top. 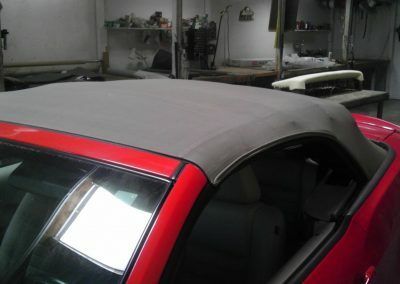 I have included pictures of both completed tops as an example to customers of what an aftermarket and factory top looks like. 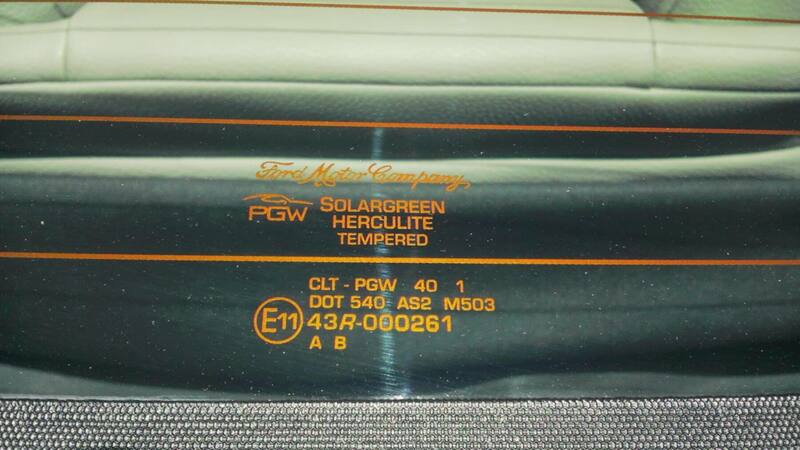 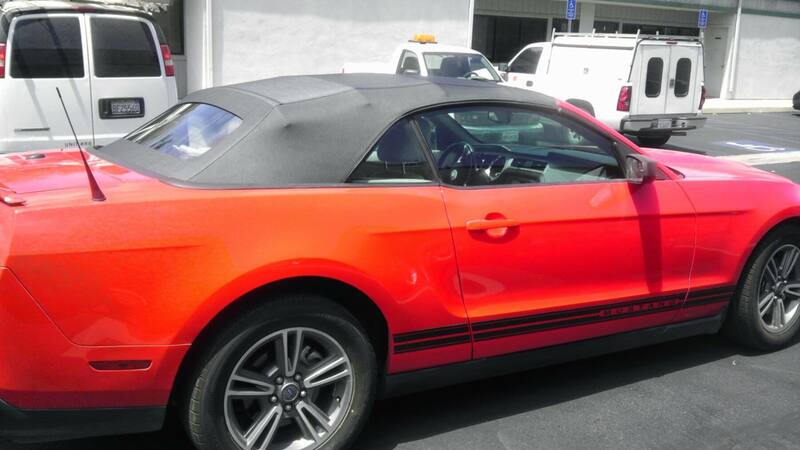 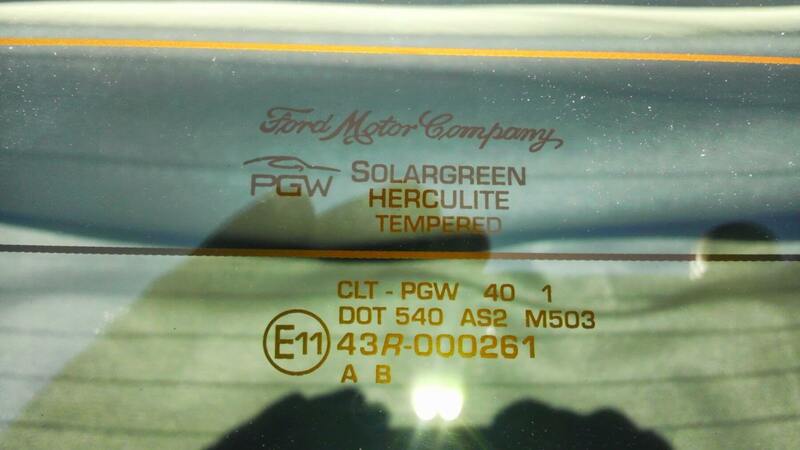 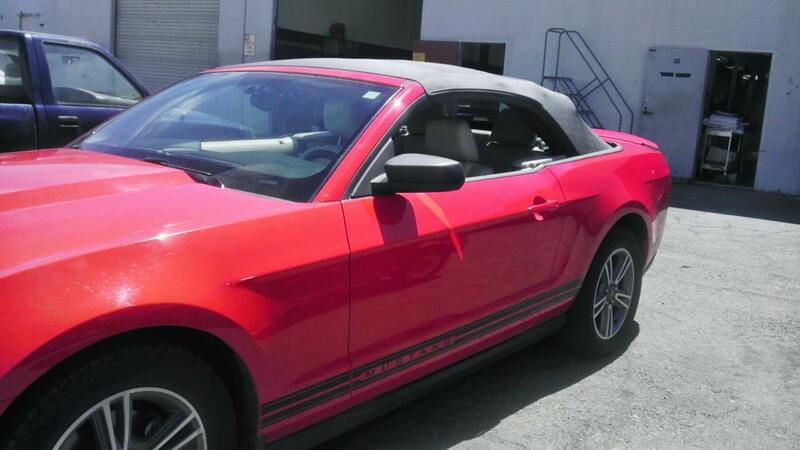 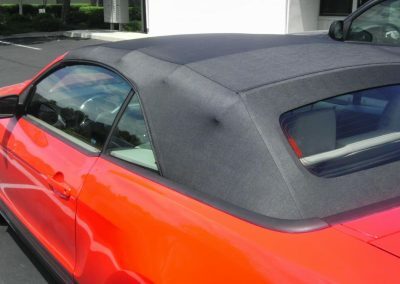 In 2005 the convertible top design changed from the previous years making the top and rear glass window one piece. 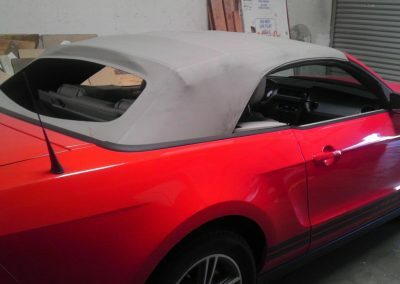 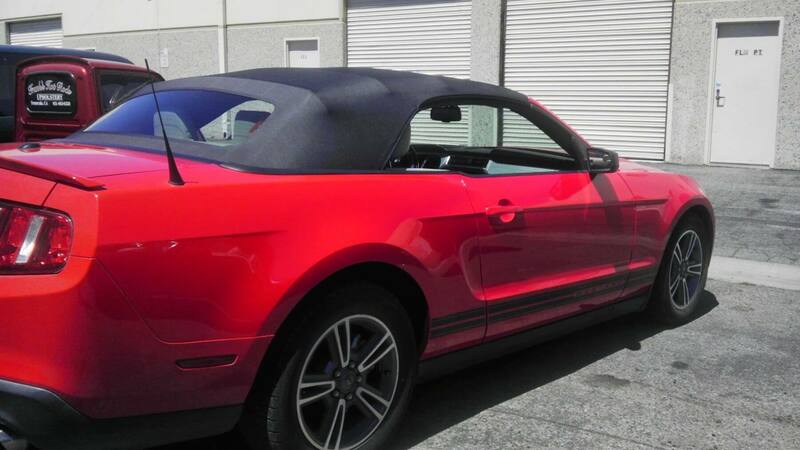 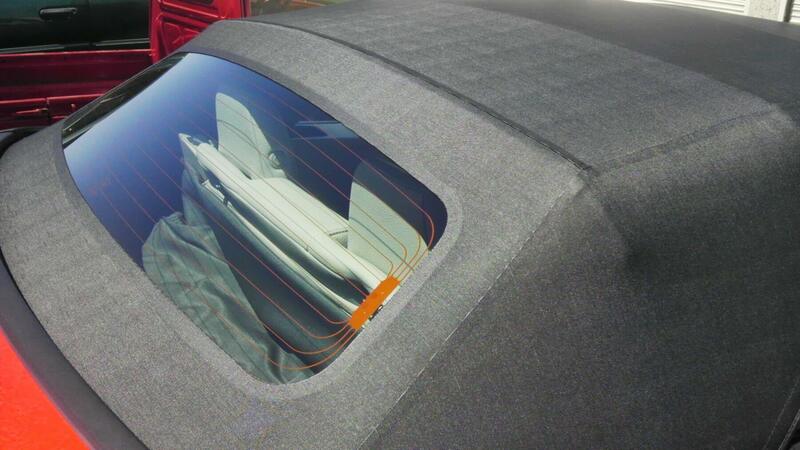 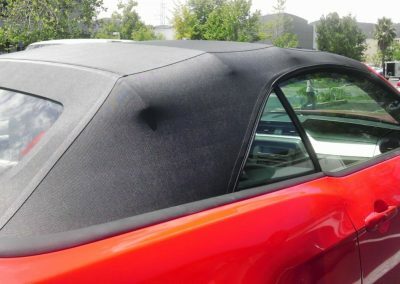 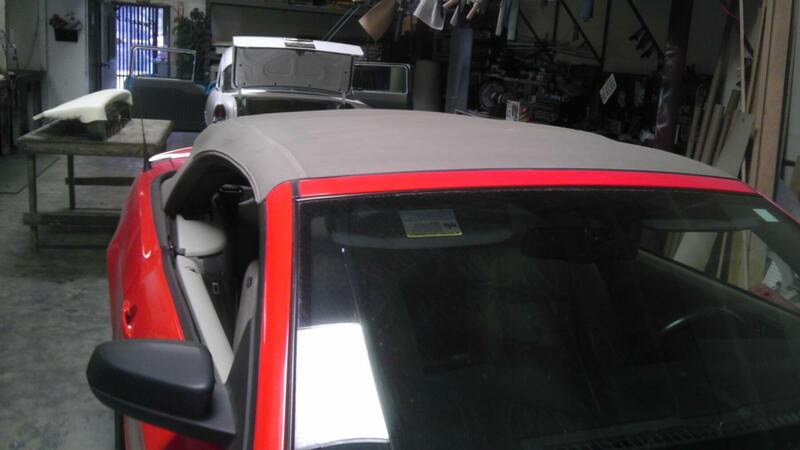 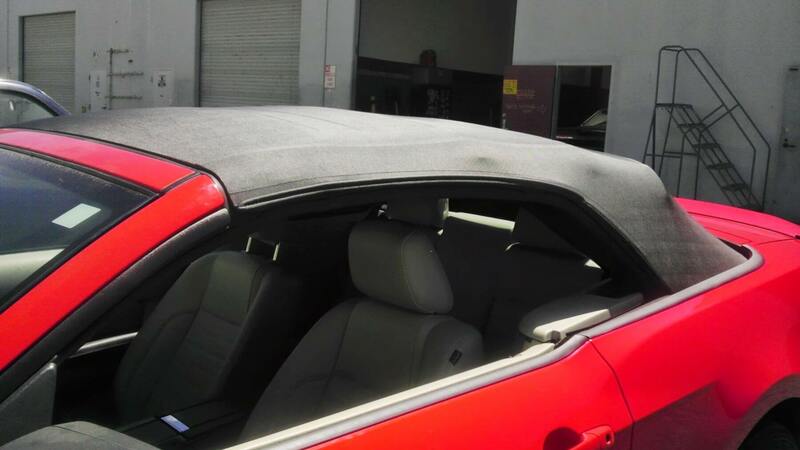 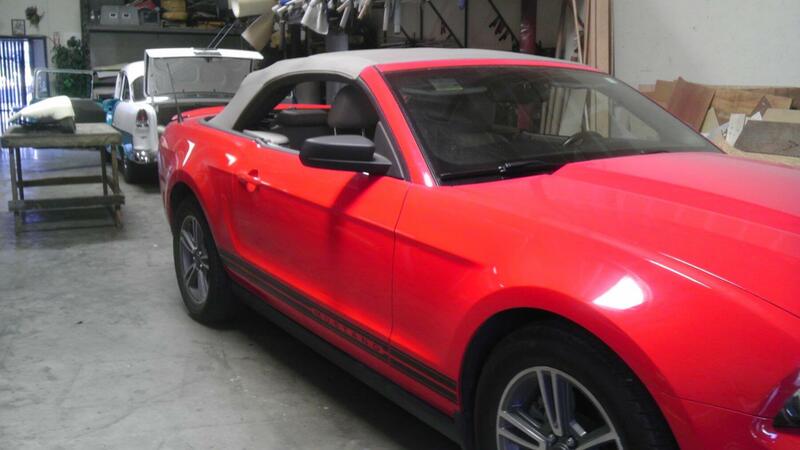 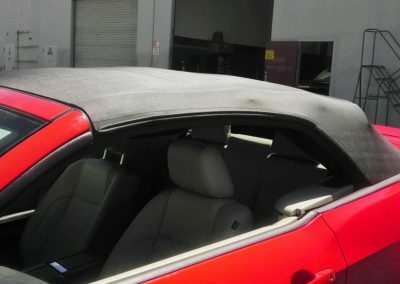 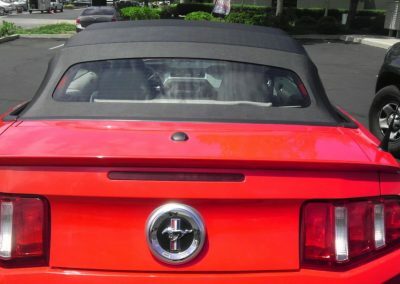 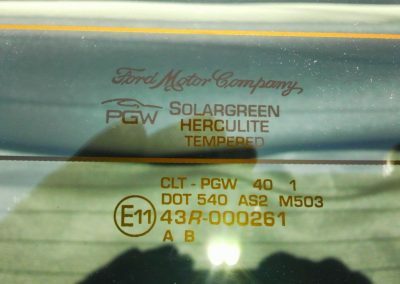 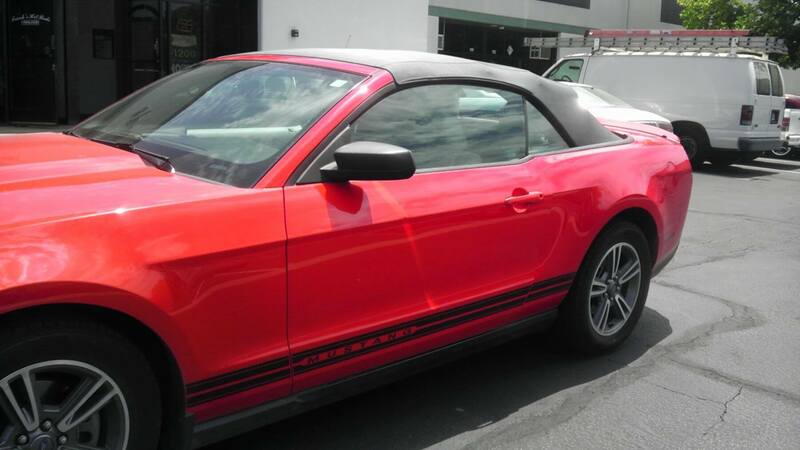 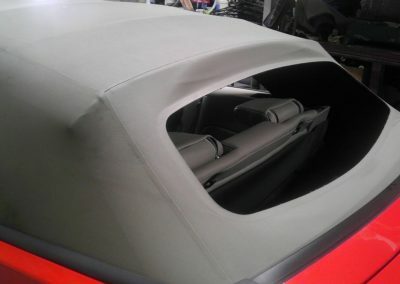 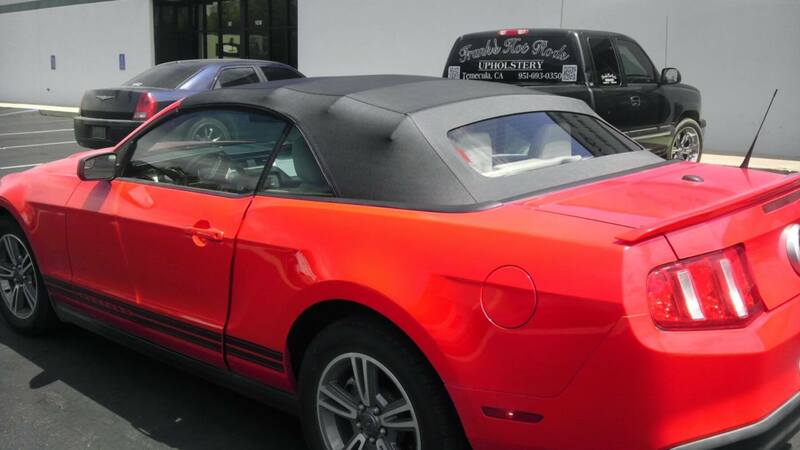 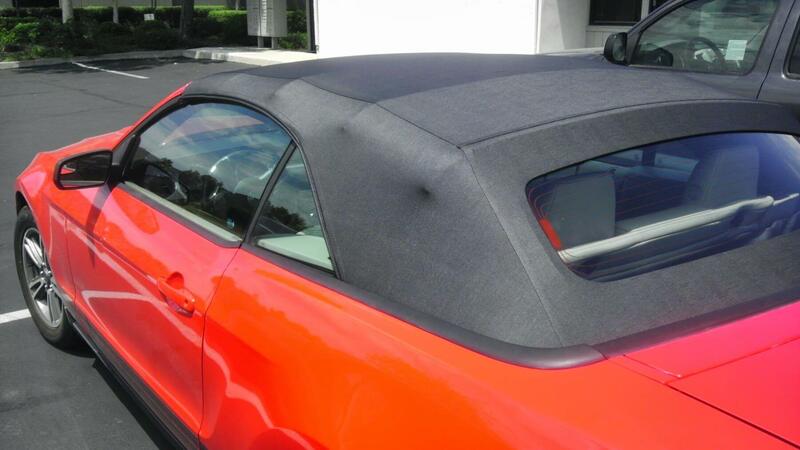 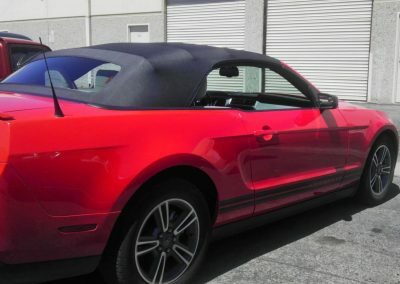 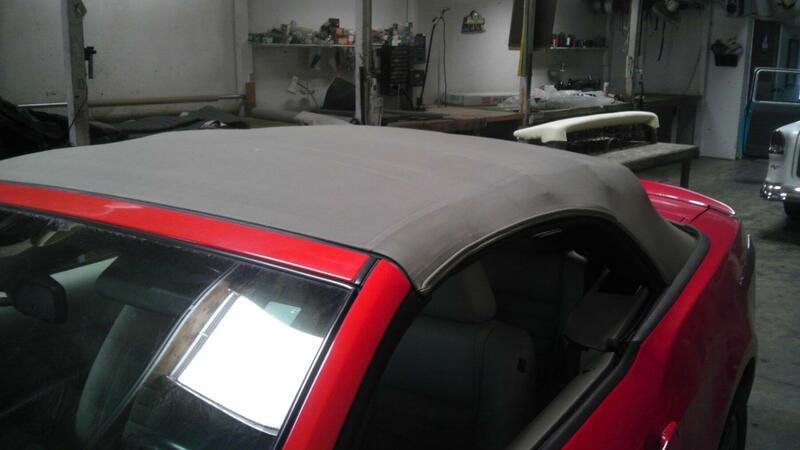 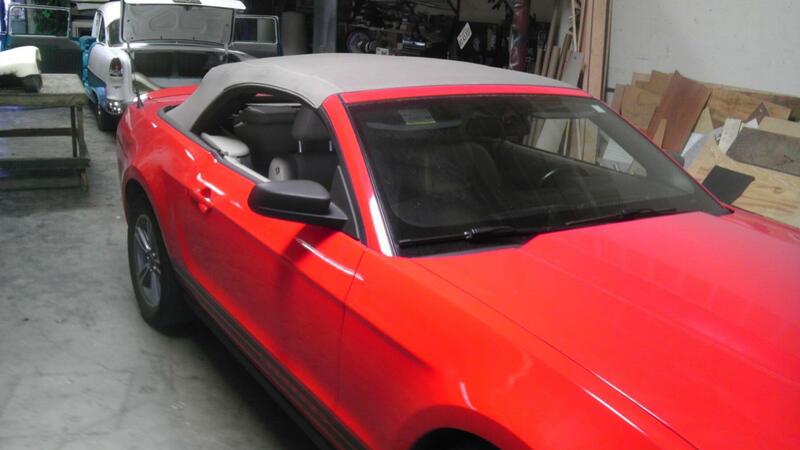 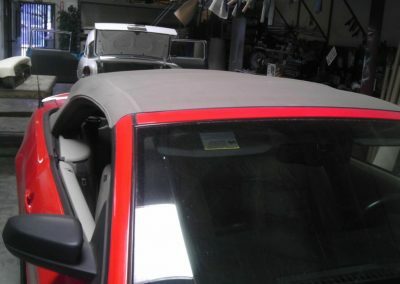 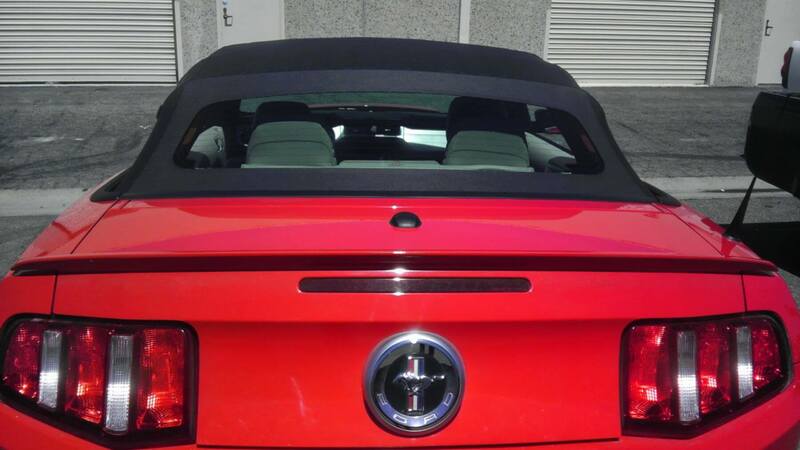 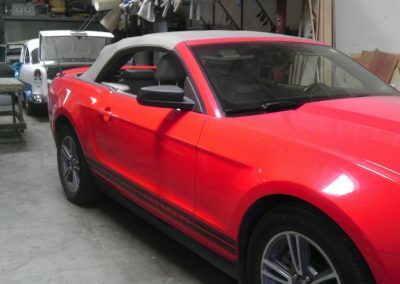 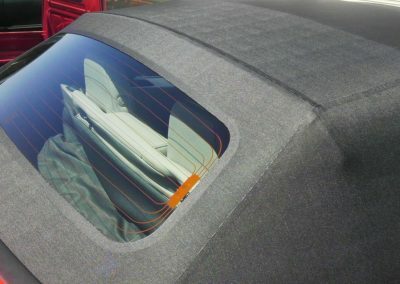 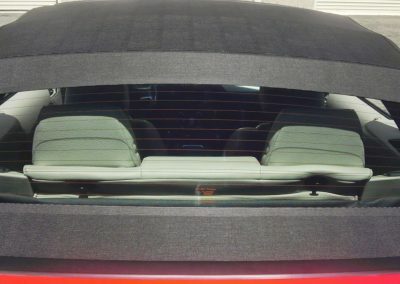 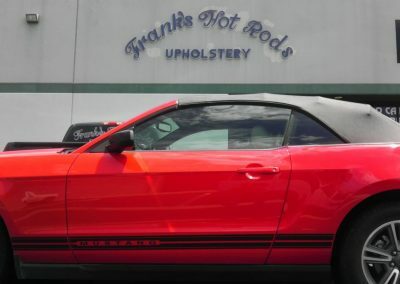 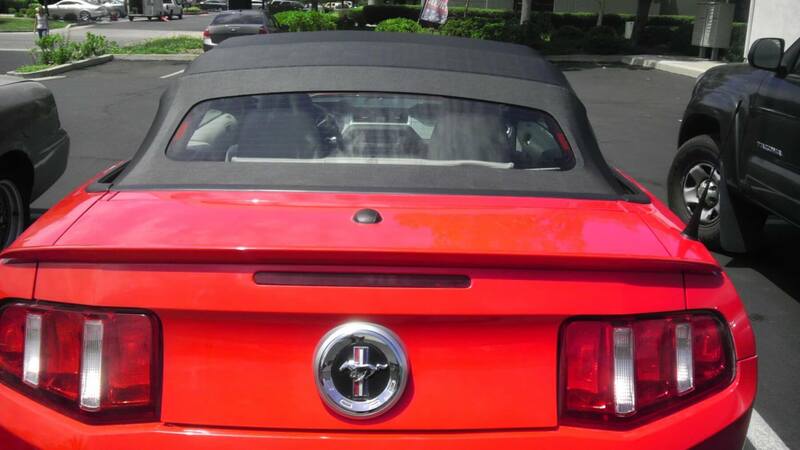 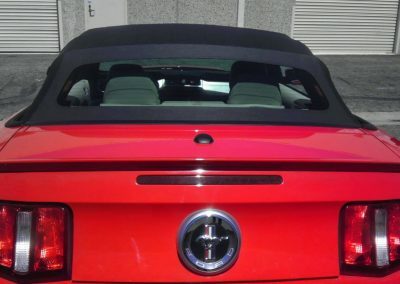 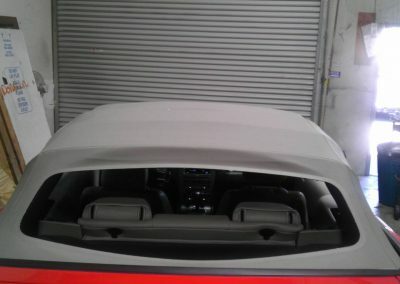 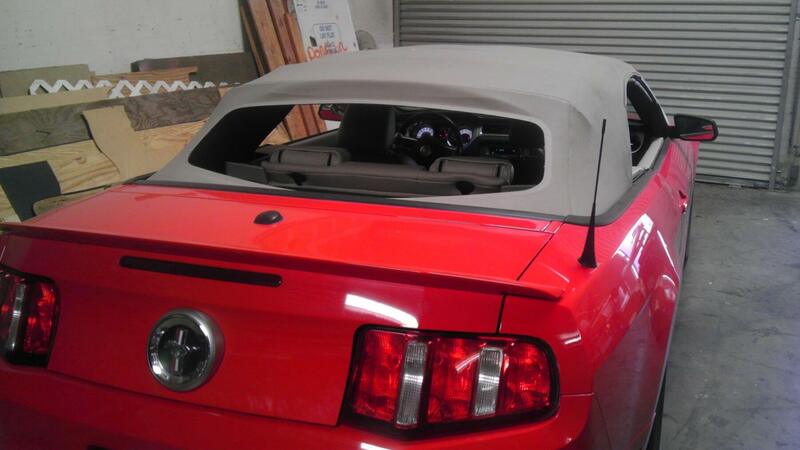 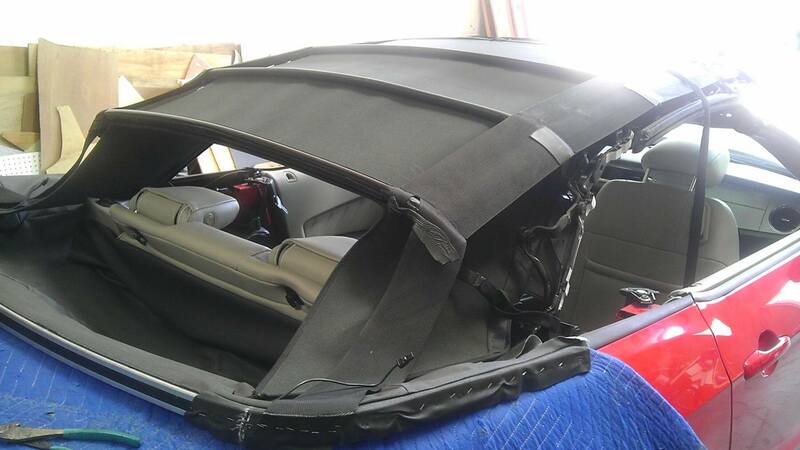 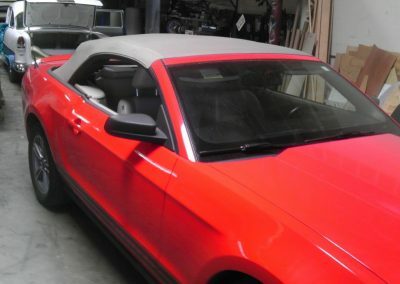 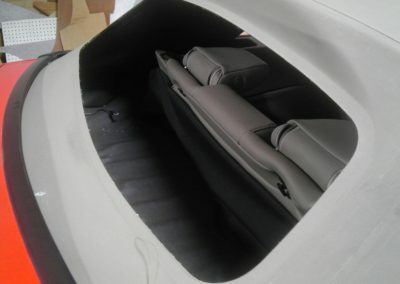 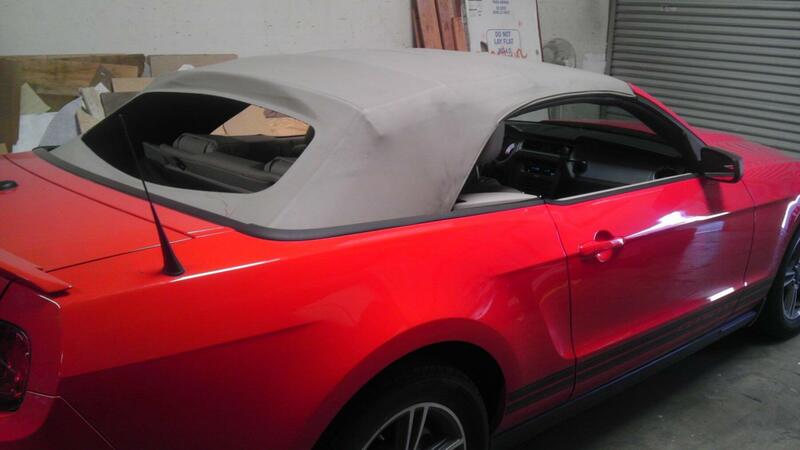 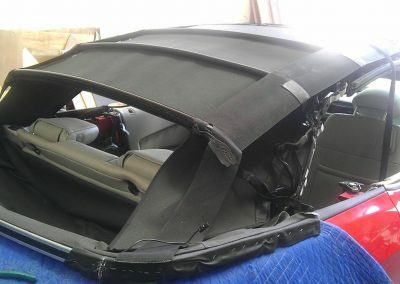 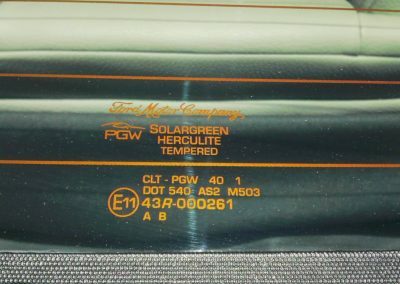 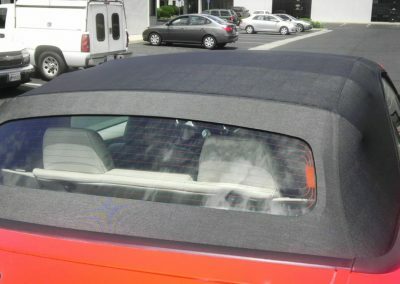 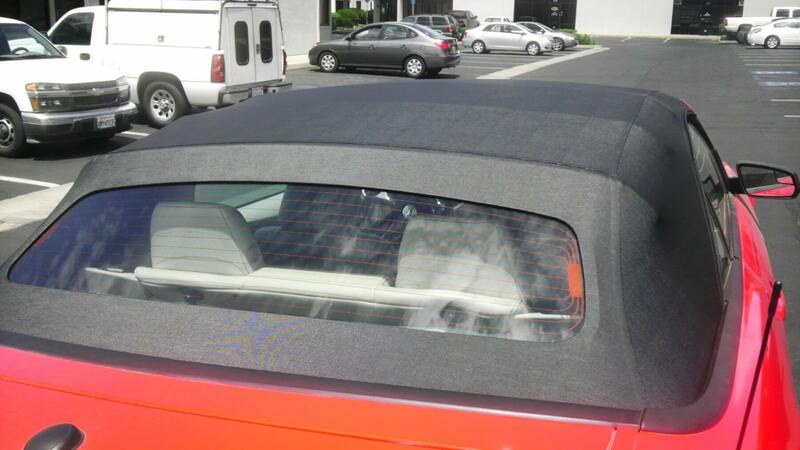 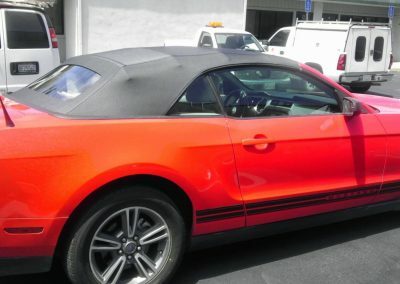 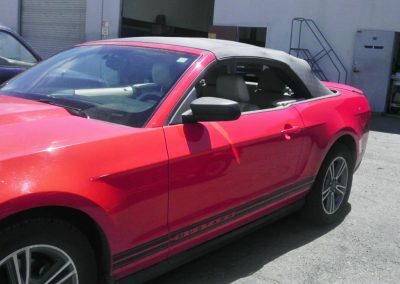 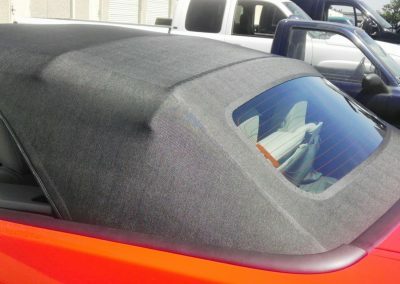 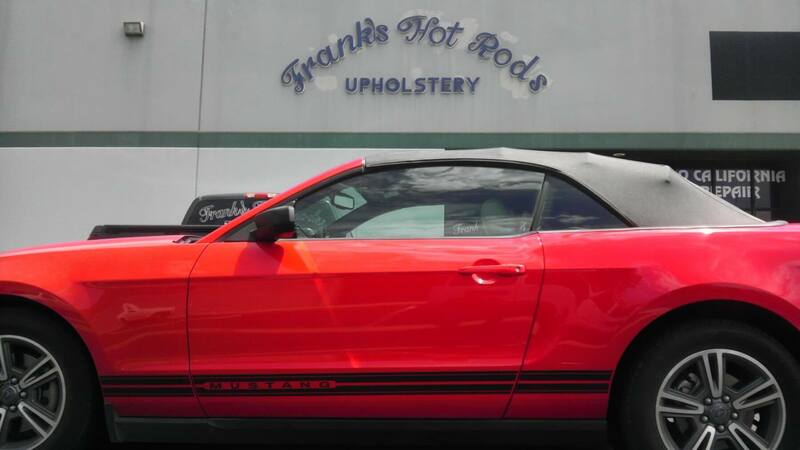 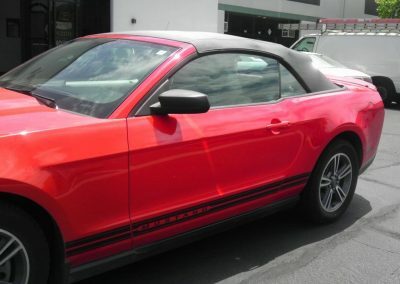 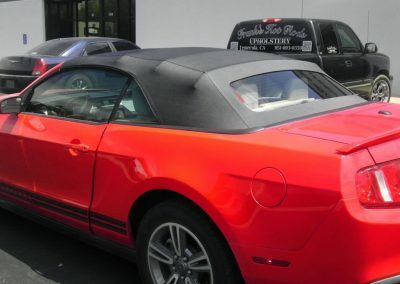 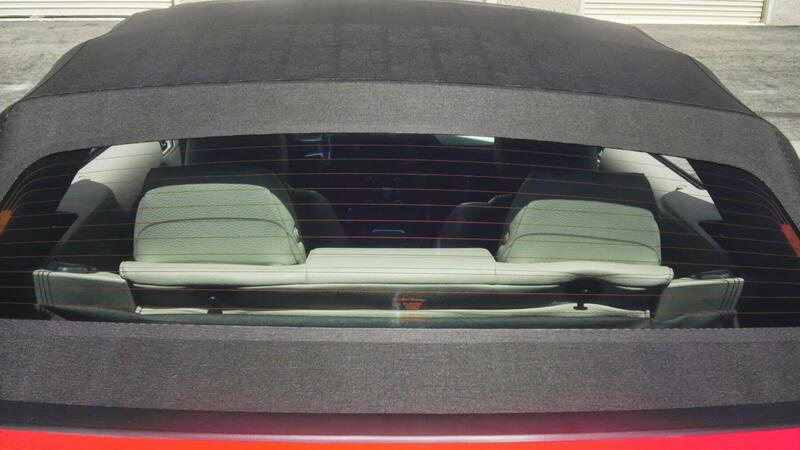 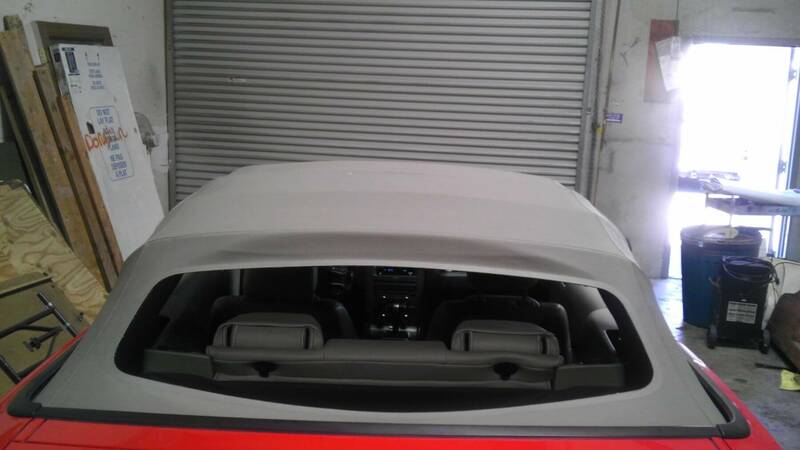 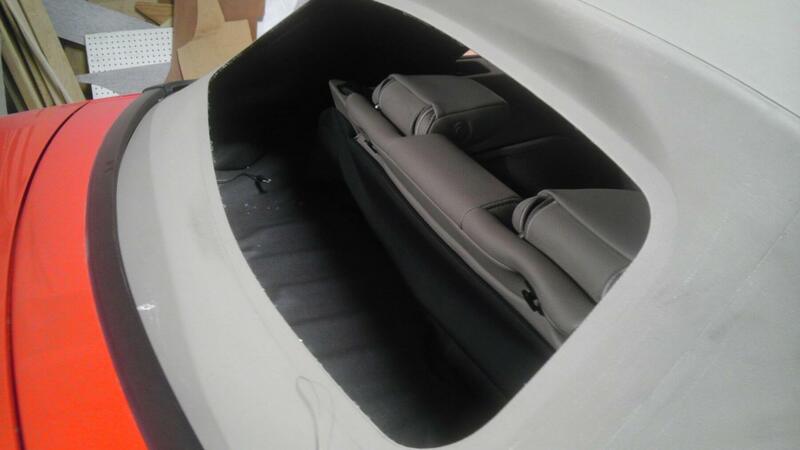 After 2005 the rear glass window is sealed to the convertible top, therefore the complete top has to be replaced if the rear glass window breaks (http://www.robbinsautotopco.com/permalok.php). 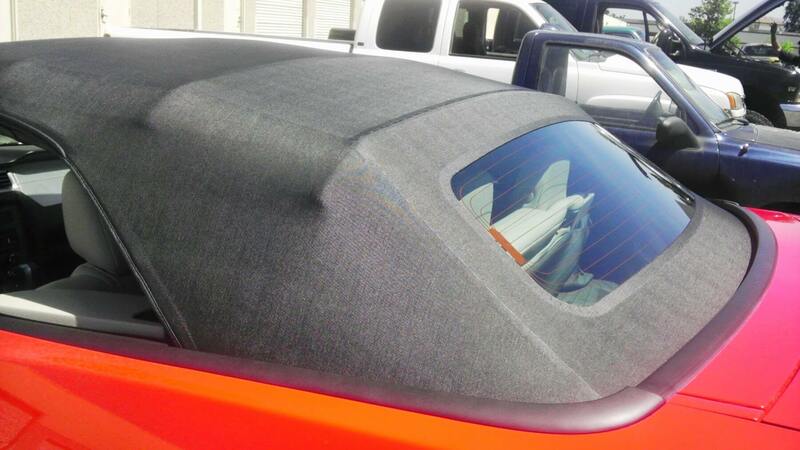 This customer took advantage of the replacement and decided to personalize his car and changed the color from a tan colored top to black. 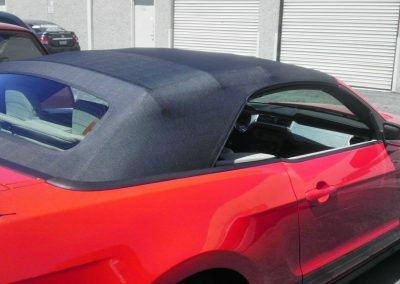 We replaced the top from a factory tan vinyl top to a aftermarket black vinyl Robbins top and then to a black factory Ford vinyl top.